Thank you for visiting my website. I hope you find it helpful and informative. Should you have questions or if you want to speak with me directly, please call me at 804-920-4411. Are you thinking of buying a home in the Richmond area? As a Richmond native, you can rely on my local knowledge to help you choose which areas will best meet your needs and desires. Whether you are looking in Glen Allen, Henrico, Goochland, Hanover or Chesterfield, you can be confident I know the areas well and can help you with everything from school districts to shopping areas to finding the perfect home for you. Thinking about selling real estate in the Richmond area? In todays quickly changing real estate market, you need a full time, professional agent that has the marketing system and tools to get your home sold and the experience to get your transaction to the closing table. I have both the resources and the experience to get your home sold for the most money possible. Are you interested in more Richmond area details? Please take a minute and browse my local neighborhood and school details, real estate mortgage information and interactive maps for the Richmond market. Thank you for visiting www.darlingsells.com! 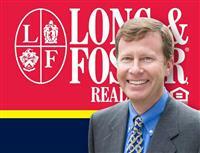 This is a one-stop real estate website for all your home buying and selling needs in the Richmond area. I’m a professional real estate agent who will help make your search for a new home an enjoyable experience.